We offer our prestigious clients the Black Spinal Gemstone. Our Black Spinal gemstones are produced by our skill labour . 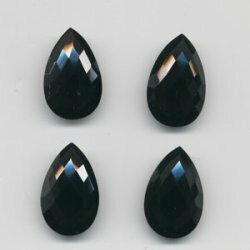 In addition, offered Black Spinal gemstones are quality tested on several parameters by quality controllers in order to supply a defect free range to customers. We are supplying these Black Spinal gemstones on numerous customized options so as to meet the needs of clients. Year of establishment 1995, we, Shakun Enterprises, are known to be one of the prominent and trustworthy organizations of the industry actively engrossed in manufacturing, supplying, importing and exporting a vast assortment of Gemstone. Under this beautiful collection of beads and stones, we are offering optimum quality Amethyst African Gemstone, Apatite and Aquamarine. Offered products are highly demanded by the customers for their unparallel quality, impeccable finish and appealing designs. We are manufacturing these products by employing and latest tools and technology under the firm direction of our highly qualified and experienced professionals as per the defined industry norms and standards. We are offering these products in various sizes and specifications to suit the varied needs of our valued clients. Since our inception in this domain, we are offering best quality beads and gems for our customers. To craft and design these products as per the assorted norms laid by the industry, we have developed a highly advanced and well equipped infrastructure facility. Here we have installed modern and upgraded designing tools. We have recruited a team of skilled and qualified professionals to operate our business operations. Leveraging to our quality assured and effective range of products, we have developed a huge client base across the globe. We are the responsible member of Gem & Jewellery Export Promotion Council, Mumbai. We are exporting our products to Thailand, US, Europe, Hong Kong and China.